My family hopes I wear a seatbelt. So I was informed yesterday while driving on a Mexican highway to Guanajauto. Turns out my family also wants me to obey the speed limit, not to drive if I’ve been drinking, not to drive tired, and finally to listen to the above mentioned signs. Every overpass contained a sign offering a veritable safe driving education all at the behest of my family. Besides the interesting cultural difference (many of the signs starting with “Tu familia te espera” – Your family hopes you…), I wondered how effective these signs really are. Someone designs every sign that we see. They decide that this is the best place and the best way to impart their wisdom to us. Every sign exists with intent, not by accident, and therefore provides an interesting snapshot of communication for consideration. 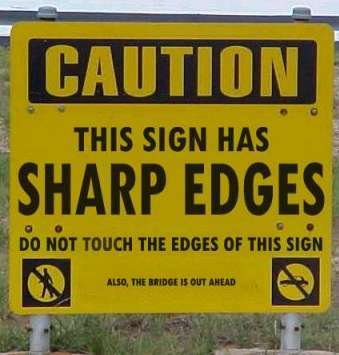 In the end, signs provide an interesting case study in communication. It is very easy for us to focus only on what we are trying to say, without consideration for whom we are trying to say it to. We assume that simply making a good argument will be sufficient to convince people of our wisdom rather than considering what would best help them. Good communication starts with knowing who you are talking to, and I guess sometimes knowing what their family wants.